WINNIPEG, MB - It's a sight to see, the largest touring tent in the world being raised at the intersection of Sterling Lyon Parkway and Kenaston Boulevard. The tent will be home to Cavalia Odysseo’s return to Winnipeg on May 12 following a 2015 record-breaking debut run in Manitoba with more than 100,000 spectators. The cutting of a symbolic ribbon was done in the company of Minister Cathy Cox; Dayna Spiring, President and CEO, EDW and Kevin Donnelly, Senior VP, Venues & Entertainment, True North Sports and Entertainment joined by Artistic Director Normand Latourelle. Latourelle announced a new member of the Cavalia Odysseo cast, Winnipeg singer Maria Aragon, who gained fame a few years ago when a YouTube video of her rendition of Lady Gaga’s smash-hit “Born This Way” went viral. Now 17-years-old, she will be joining the troupe of the critically acclaimed equestrian and acrobatic extravaganza for its second run in Winnipeg. The White Big Top rose to the sky at around 11am Tuesday. Take a look. Peaking at 38 metres, the White Big Top is part of a larger ensemble; the Cavalia Odysseo village will take shape over the next few weeks when a team of 80 experienced workers will be charged with its construction. The Cavalia Odysseo village consists of five tents: The White Big Top, the stable tent, the exclusive Rendez-Vous VIP tent, the warm-up and artistic tent, and the kitchen tent for the 150 permanent employees. In total, 110 semi-trailer trucks will be required to transport the world’s largest touring production to Winnipeg. Ticket prices range from $29.50 to $149.50 and applicable fees. 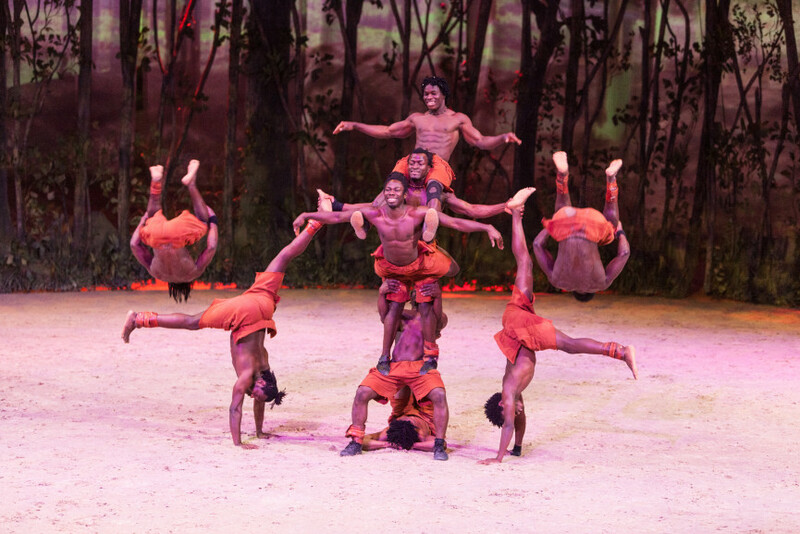 The Rendez-Vous package offers the best seats in the house, a full meal buffet dining before the show, open bar, desserts during intermission and an exclusive visit to the stables after the show. This unique VIP experience takes place in a tent alongside the White Big Top. The Rendez-Vous package prices range from $99.50 to $269.50 and applicable fees. Special pricing and packages are also available for groups of 12 spectators and more. 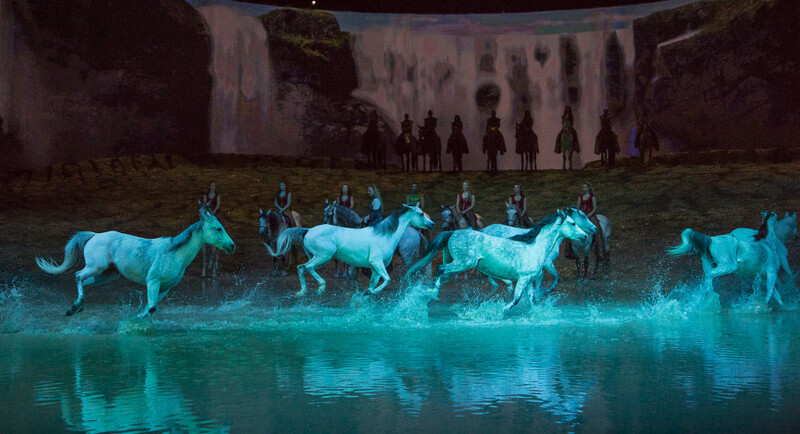 Tickets for Cavalia Odysseo are now available at www.cavalia.com/winnipeg, by calling 1-866-999-8111 or through Ticketmaster.